Page 3. 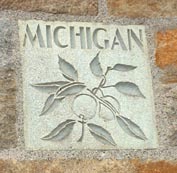 Details of the National Shrine of the Little Flower Church (cont.). 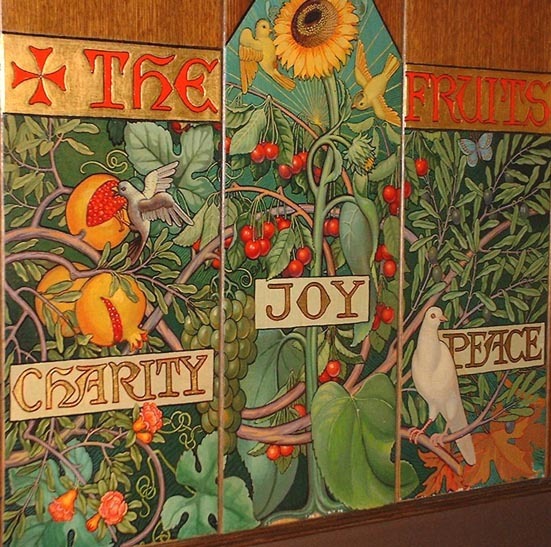 Symbolic paintings depicting the gifts (fruits) of the Holy Spirit. Graphics by D. Penney. 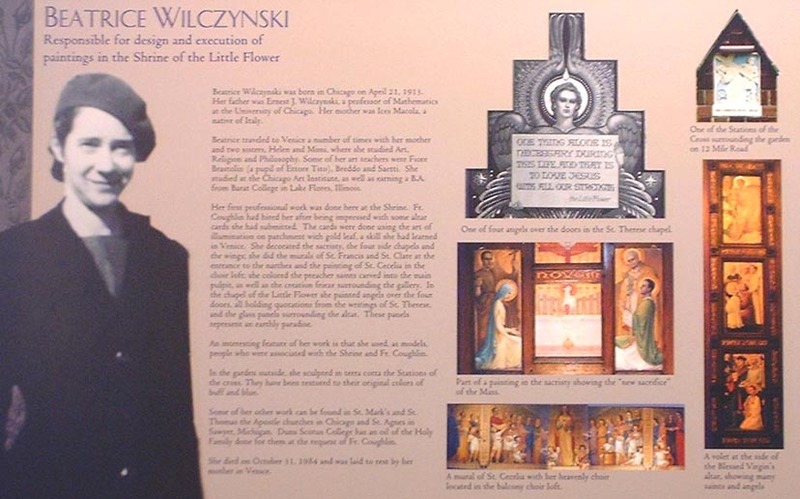 Panel from the Heritage Room showing some of the work of Beatrice Wilczynski, who did all of the hand painted art in the Shrine.